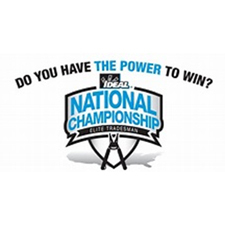 IDEAL’s National Championship Weekend is actually the culmination of a year-long series of state and local competitions among electrical workers from all over the country who choose to compete either as teams or individuals. For 2018, the competition featured some 37,530 participants throughout the year, comprised of 14,678 professional individuals and 19 professional teams, 22,852 student/apprentice individuals and 119 student/apprentice teams. There were a total of 1280 qualifying round events, which all boiled down to 145 competitors at the Championship Weekend, which took place at the Walt Disney World Coronado Springs Resort December 1-3, 2018. IDEAL likes to call the event “the Super Bowl of the craft [electrical work],” a series of events where individual electricians and/or teams are timed and judged on tasks such as pulling wire, cutting, stripping, termination and testing. At each regional or local competition, IDEAL provides a full range of tools including pliers, clamps, fish tape, screwdrivers and wire connectors, while competitors can always use their own IDEAL tools if they prefer. Events are judged not only for fastest completion time, but also for the tightness of wire connections, termination, connectivity and safety. In the professional categories, competitors have an additional datacomm component added to qualifying round challenges. IDEAL created the event in 2016, it’s 100th year in the industry, as a way to both recognize electricians and electrical workers as well as promote the craft to those who might be interested in entering the field. New to this coming year will be a National Championship competition in Australia. Canadian electricians competed in the U.S. Championship for the first time in 2018. Competitors vie for not only a national title, but for their share of more than $600,000 in cash and prizes along the way. The top individual professional prize last year was $75,000, with $60,000 top professional team prize. Students/apprentices could win up to $30,000 as an individual champion or $30,000 split among team members for a team. Each first place finisher (individual or team) was also awarded $5000 IDEALcash to its contractor or trade school.